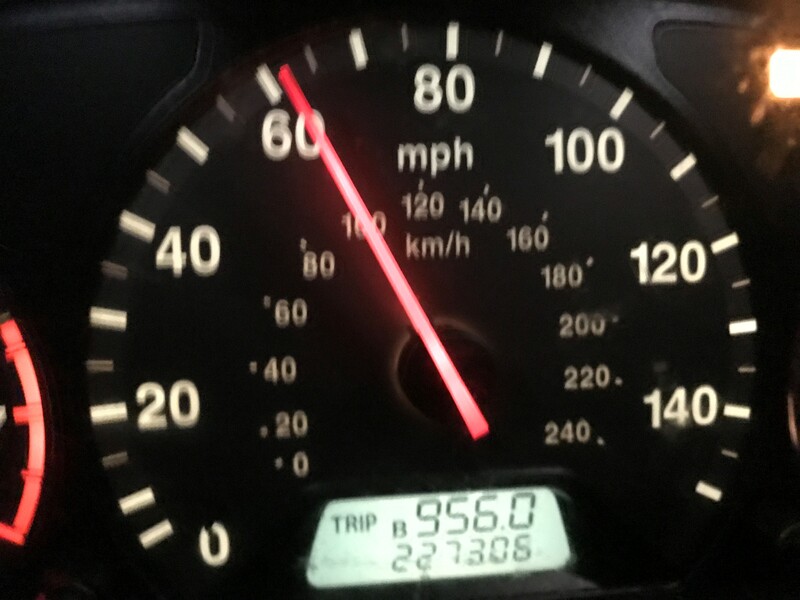 2001 Honda Accord ULEV 4 cyl 2.3 Liter 227,306 miles! It's likely one of your wheel sensors. I had the same issue with my 2000 Accord, it was the right rear sensor. Removed the wheel and the sensor, cleaned it and reinstalled, no more light. That's over a year ago. Thanks for the tip! I'll look into it. It would be great if I don't have to buy a new sensor. Can I ask what you cleaned it with? Brake cleaner and a brush. My wife's 00 Accord had that too, same wheel even. I bought a sensor from Rock Auto, and then pulled a fuse to clear it. It's been 3 years now since I did that. One nice thing about my 99, it doesn't have ABS, so it's 1 less thing to worry about. Bad idle and codes 300...306 !!!!! I am using a quart of oil every 6000. Normal? Quick Reply: 2001 Honda Accord ULEV 4 cyl 2.3 Liter 227,306 miles!